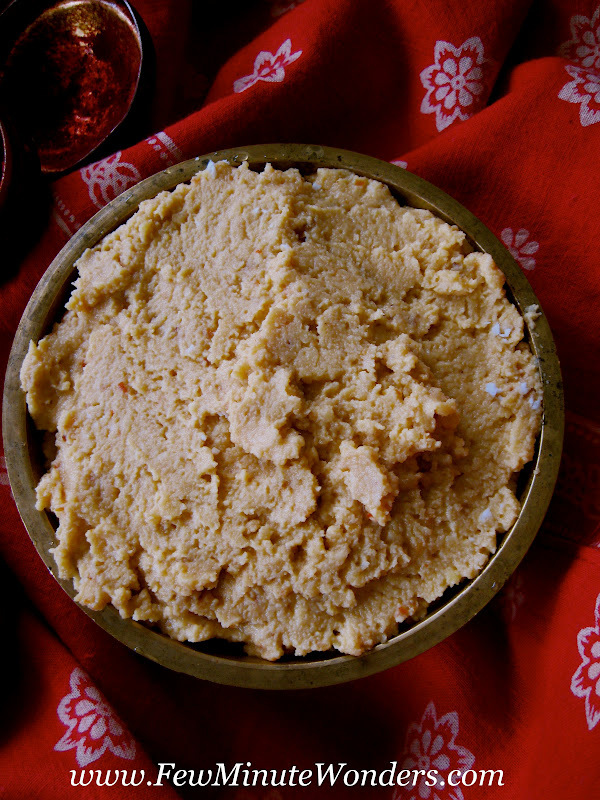 Home » » Paruppu Thogayal / Lentil Chutney In 10 minutes. A perfect compliment to Molagu Kozhambu is paruppu thogayal. 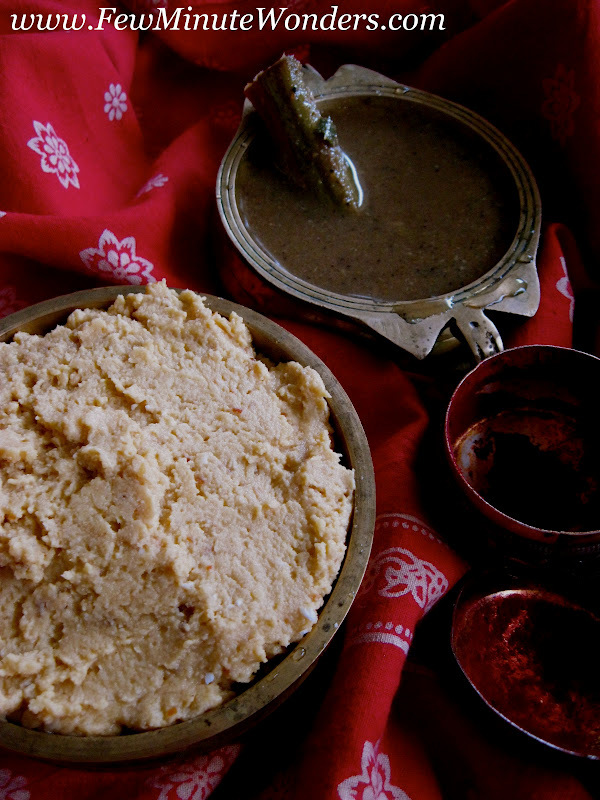 Lentils are roasted and ground into thick chutney and it is popularly known as paruppu thogayal. It is usually mixed with rice to include protein into the diet. Sometimes, it is also used as a chutney for dosai. To me it tastes great with curd/yogurt rice. A must have with molagu kozhambu. A few weeks ago I had blogged about Molagu kozhambu and forgot to post the paruppu thogayal. Thanks to Sowmya for reminding me to post the thogayal. 1. Heat the wok with some oil. Add asafetida and red chillies. Allow it to blend in the oil for a few seconds. 2. Add thoor dal and roast it until it turns golden. Remove from flame cool and transfer this to a blender along with water, salt and coconut. Grind to a thick paste. 3. Serve with molagu kozhambu. Your spread of milagu kuzhambu and the thogayal, makes me hungry..
new to me..looks so delicious and easy to prepare..loved it!! I can survive for many days with this thogayal...my all time fav..
this luks really yum n tatsy..perfect vth hot rice. Delicious! One of my favourite chutneys, I love it with set dosa too!! Perfect with hot rasam rice.Yummy! !